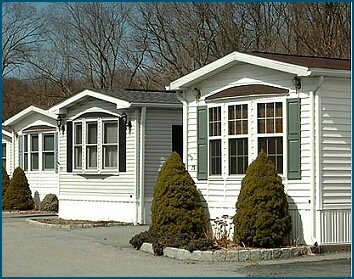 There are occasions when moble/manufactured home owners want to rent their unit. It may be for a limited time, or for a longer period of time. Sometimes an owner may have a health problem that requires them to stay in their permanent home during the winter, and they would like to rent out their seasonal dwelling, for one season, or for an even shorter period of time, to help pay expenses. Perhaps a seasonal home has been purchased with the idea of living it when the owner actually retires, but the owner wants to rent it in the meantime. Or, it may be owned by a park or individual, specifically for rental income. Since senior parks require senior renters, it is important to reach the right segment of the population. SeniorMobiles.Com is the premier site to buy, sell, or rent a mobile/manufactured home in a seniors community. Consistently at the top of the search engines, the site is also marketed throughout the country, utilizing the print medium as well as various broadcasting methods. Potential renters will find your property there faster than in any other location. This website is the equivalent of an MLS (multi list system) in the Real Estate market. It allows potential renters to interact directly with owners (or their agents) when looking for a home. Listing a property though SeniorMobiles.Com allows owners the most bang for their buck. Rather than just placing a "For Rent" sign in the window and hoping someone will drive by, this site markets your property to potential renters throughout the country, and the world, 24 hours a day, 7 days a week, 365 days a year. Renters are notified via our user agreement that this site is a mechanism for renters and owners to find one another and that we cannot guarantee the accuracy of the information provided, nor the honesty of the renter or owner. The parties should consult an attorney if there are questions about rental agreements, security deposits, occupancy, terms, conditions, etc. Owners will be asked to provide certain information about the property and will be given the opportunity to describe it in more detail and to list 5 pictures at the normal price of $39.95 for one year or until your home is rented (whichever comes first). If only certain months are rented, you may keep the listing active by mentioning the months that are still available. If all months are rented the listing will be marked as "rented" for 30 days and then removed from the site. An option will be given to list up to 2 additional pictures for an $10. If you have any questions about our policy, please feel free to contact us. Please note that you need to notify us asap after completely renting the property, so that we may remove your listing and save you the inconvenience of receiving phone calls and contacts regarding a property that is no longer available. Landlord may list the property online, providing all information and pictures requested. Landlord may fill out the online form and send digital pictures or regular camera pictures by mail, for SeniorMobiles.Com to scan and enter. The listing will be available online as soon as billing has completed, however, it will indicate that pictures will be available soon. Pictures will be entered within two business days of receipt by SeniorMobiles.Com Mailed pictures will not be returned. SeniorMobiles.Com will make every effort to provide a good image, but the quality of scanned images, although usually fine, cannot be guaranteed. Landlord may be mailed or faxed a listing form and may return both, with pictures, by mail. The listing and pictures will be available online within two business days of receipt by SeniorMobiles.Com. SeniorMobiles.Com will make every effort to provide a good image, but the quality of scanned images cannot be guaranteed.